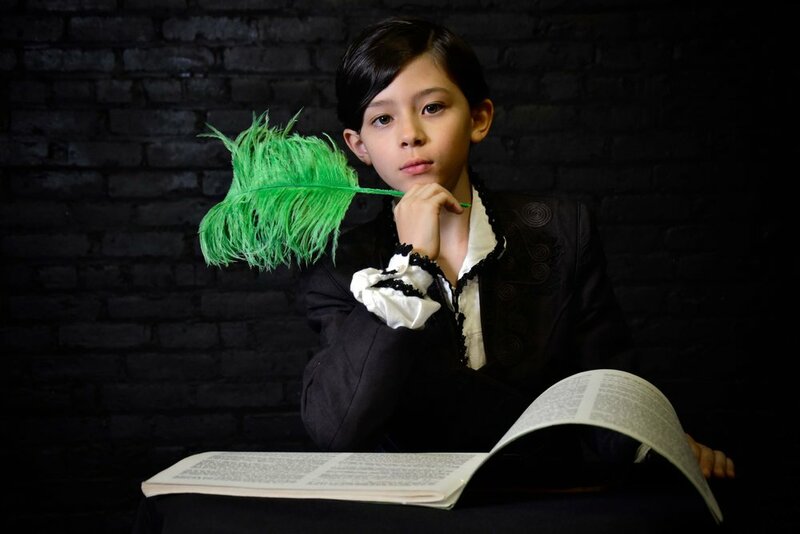 Brooklyn Music School offers a range of programs to introduce young performers to musical theater including our Music Theater Program for children during the school year, as well as, our Summer Vocal Arts Junior Artists Program. Previous productions include: "Annie Jr", "Cupid's Arrow", "Little Red Riding Hood" and "To Dream a World," and "A Shepherd's Tale." This fall, BMS musical theater will be producing an original musical based on Puerto Rican culture called "Alida and the Hummingbird," based on the legend of the hummingbird. The entirety of the fall semester will be dedicated to learning indigenous and Latin American culture. BMS's Musical Theater Program is designed to introduce children into the world of musical theater and performance through a 12-week intensive course that culminates in a fully produced performance of a musical production at the BMS Playhouse. This program is open to all children ages 6 - 13, who have the desire to share the stage with fellow child performers. Classes are taught by teachers with world-class backgrounds in musical theater, opera, dance and performance. Each child will have a role in the final production and/or performances at BMS concerts. Our program is defined by the philosophy that every child can find their creative voice on stage, combined with intensive training in the fundamentals of vocal performance and building a dramatic vocabulary that ties with their emotions and lived experience. There will be performances on December 14, 2018, and February 2, 2019. Comprehensive, friendly, and exciting, this is the perfect way to introduce your kids to performance and theater! Class will meet every Saturday from 2pm to 4pm. *Students may be called for additional rehearsals during the week. Set in a Magical Forest, this whimsical comedy for children tells a story of fantastical creatures from Krinklies, feathery blue crocodiles, to Unicorns. Fernie, a not-too-helpful helper unicorn, thinks she knows the best way to help not just one but three misguided creatures make their way through the magical forest of discoveries and challenges. On the journey wefind that the biggest obstacle facing our Fernie and her wards is overcoming themselves and the limitations of their own bad habits. An original musical by Adele Powers and Zak Sandler. That Musical About a Helper Unicorn is a magical adventure you won’t want to miss! Day + Time: Saturday, 2 p.m. - 4 p.m.
To register: Please email Lina Tetriani, program director, with any questions. Please click here or call our Registrar at (718) 638 5660. Oriented to children ages 7-16, this program will include approximately 6 hours of classes in singing and dance, integrated with rehearsal that will introduce child performers to performance-oriented vocal arts and theater. Children will learn how to sing and dance as an ensemble, will be featured in solo pieces and acquire the presence and movement skills required to participate in an original musical performance for parents and the community at the end of the session.